This one I took one morning in my sister's backyard. Well, not really hers, but the field next to it anyway. It was around 7 in the morning. On a Saturday if you can believe it :-). 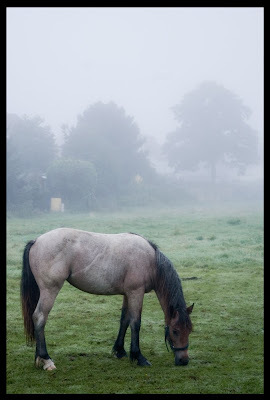 The morning mist had not yet been burnt off by the sun and it resulted in some very nice pictures.